After the success of the previous acoustic night held by Loughborough University Arts (LU Arts) Scholarship winner Michael Harry, we are happy to announce its return for 2019! We will be bringing you more musical variety from a pool of talented students. 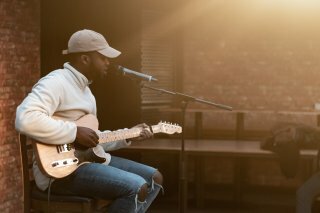 Acoustic Night invites students at Loughborough University to perform at an open mic night. This night usually features a variety of line-ups which showcase some of the best new talent on campus and across the county! The event is open for all to attend, students, staff and the general public.